EESeal® FilterSeals EMI Filter inserts are designed for almost any connector pair. 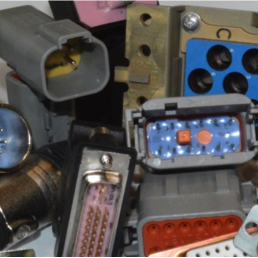 They are quick and easy to use on your production line or can be used in retrofitting units in the field. EESeal®’s are made of resilient silicone rubber that is quick and easy to install if you are using one or a thousand. Their patented construction allows them to survive even extreme environmental abuse. 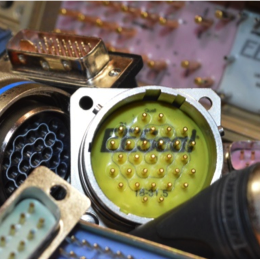 By using just your finger tip, you can install an EESeal® FilterSeal EMI Filter Insert in to your connector in just seconds unlike the bulky EMI Filter adapters, filter connectors, and other EMI Filters of the past. 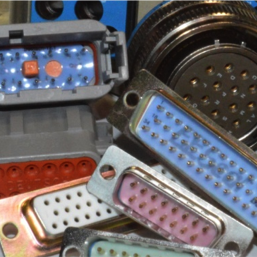 The connector list below is only a sample of the devices we have supplied over the past 20 years. 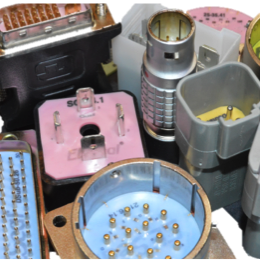 If your connector is not listed here, call us with the part number or specification and let’s see if we can help solve your EMI or Transient issue today!